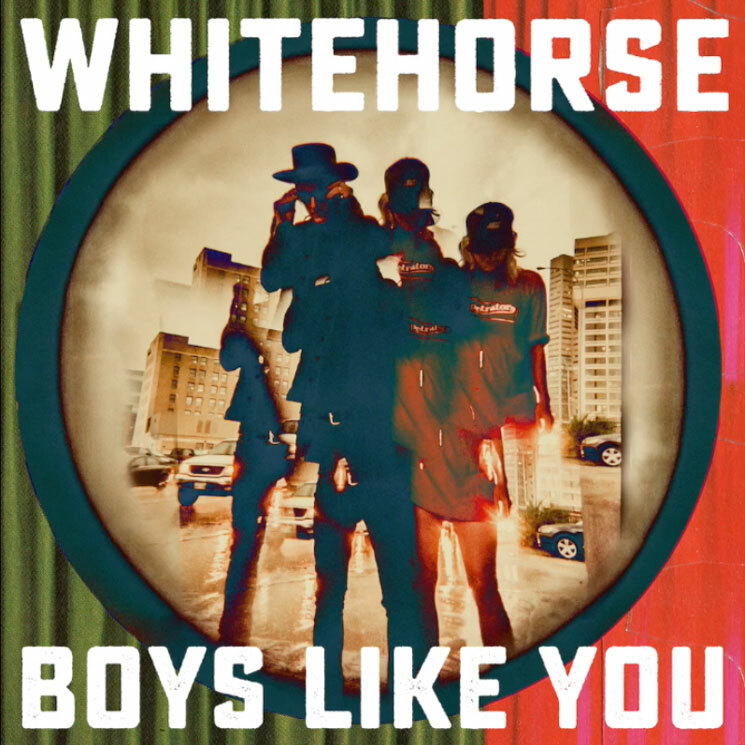 Though they initially began the project as a folk duo, Luke Doucet and Melissa McClelland have continued to push Whitehorse out from such genre-specific confines today with new single "Boys Like You." A press release describes the track as "an irresistible fusion of '90s guitar rock riffs and Britpop-inspired swells with futuristic, cinematic production." As one can hear, the duo's new sounds aren't that far removed from the '90s heydays of Beck and Cake. There's even a Jay Z namecheck if you listen closely enough. Whitehorse last delivered The Northern South Vol. 1 last year. Take a listen to "Boys Like You" in the player below.